Knickerbocker Rd. and Pennsylvania, south and east to Mcwhinney Thursh Dr. Threat to recreational infrastructure and Snow Summit. 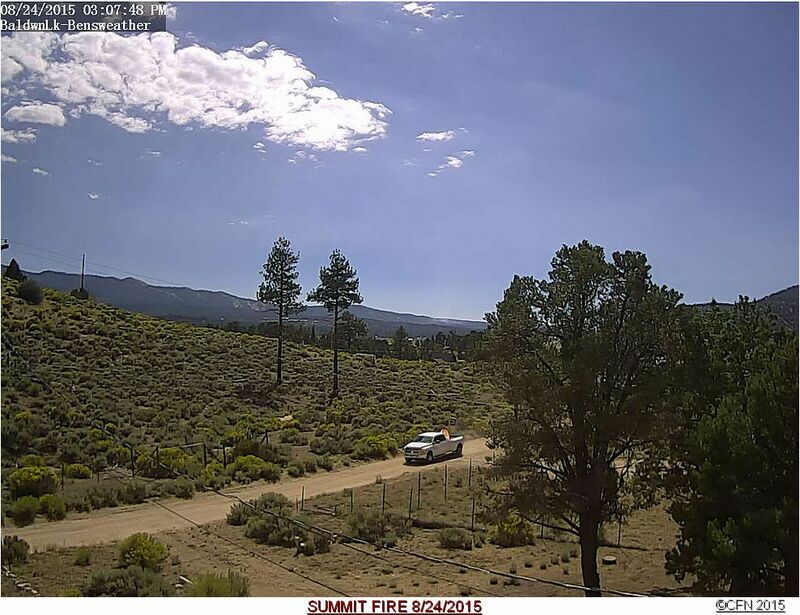 Summit Fire in Big Bear City results in mandatory evacuations. Pennsylvania south between Knickerbocker Rd. and Jeffries/ All areas south of Oak between Jeffries and Eureka/ All areas south of McWhinney between Eureka annd Thrush Dr.
All areas north of Switzerland and south of Brownie/ Areas east of Thrush Dr. and west of Summit. IC requesting 2 county crews for immediate structure defense in the area of Knight and Pennsylvania. 2 to 3 acres with potential to 10. 0% contained, moderate rate of spread with Spotting ahead of the fire.